Stock Edge is India’s one of the top Equity market analytics and research application that enables you to do 360-degree perspective research of stock by your own by providing you with all the information that you need. But before we get to the way it works and helps you in the financial space, let’s take a step back and start from the basics. With the increase in GDP of India from $1 trillion in 2008 to $2 trillion in 2016 and currently (2018) at $2.848 trillion, it has now become more than just important to beat the returns that the bank FDs and LICs provide. The only place that comes to anyone’s mind when saying that is the stock market. Many investors or traders have generated returns that have not only outperformed the benchmark index but also generated wealth for themselves. Having said that, it becomes even more important on the part of stock market participants to ‘do the homework’ properly, i.e. 100% focused research and analysis of the stock. Stock Edge is a unique tool that helps you do just that. Let us understand its features one by one. This section is something that is of interest to everyone because it talks about the data points that should be tracked on daily basis, i.e. the news. The news is extremely important for everyone even if he/she is not directly related to financial markets or capital markets. The feature shows all the information in the form of filtered and relevant news. When you click on news in Stock Edge, you can directly go to that particular stock or that particular sector. The most accentuating feature of the news section is that it shows information in a very filtered and structured manner. You are not bombarded with a lot of noise as part of the news. You can also track the announcements, forthcoming events, corporate actions, and results, movement of various market indices, FII/DII activity, and bulk, block and insider deals. Apart from daily updates, there are 3 major icons that as a whole act like the master data for anyone using the application, i.e. Stocks, Sectors and Investors section. 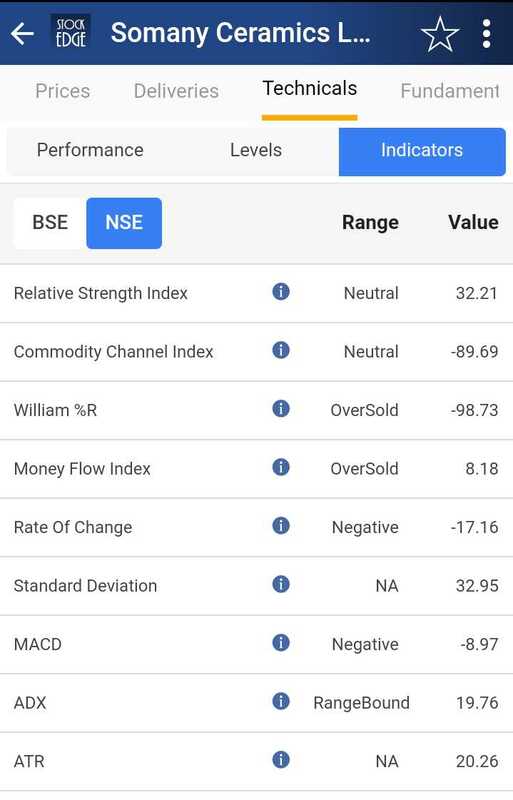 And its range and value based on various technical indicators like RSI, CCI, William R%, MFI, Rate Of Change, MACD, ADX etc. Also, if you want a basic understanding of any parameter, you can just click on ‘i’ shown on the home screen or you can also click on the 3 dots on the top right corner of the page and know what that particular data means. You can also go through the fundamentals and finance of the stock that are very helpful for anyone who wants to do research on a particular stock in just 15-20 minutes. 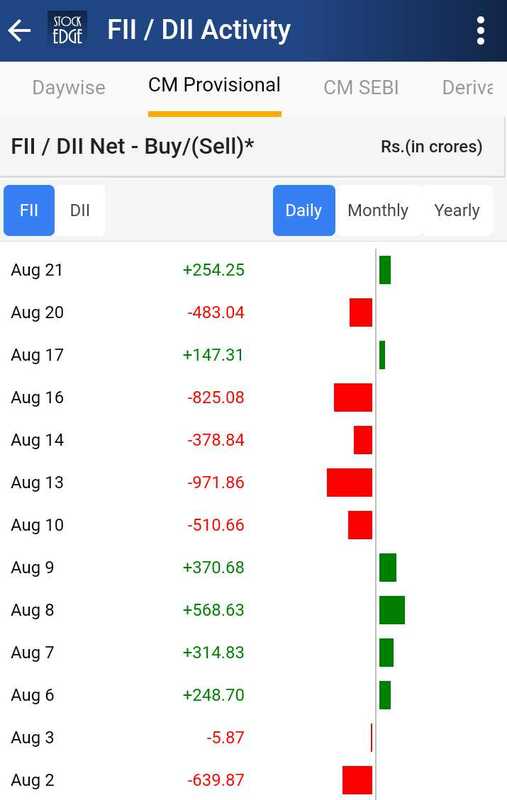 You can access all this information in just a few clicks and the data will be presented in a very structured manner in the StockEdge app. With this, it becomes easy for anyone to understand it. 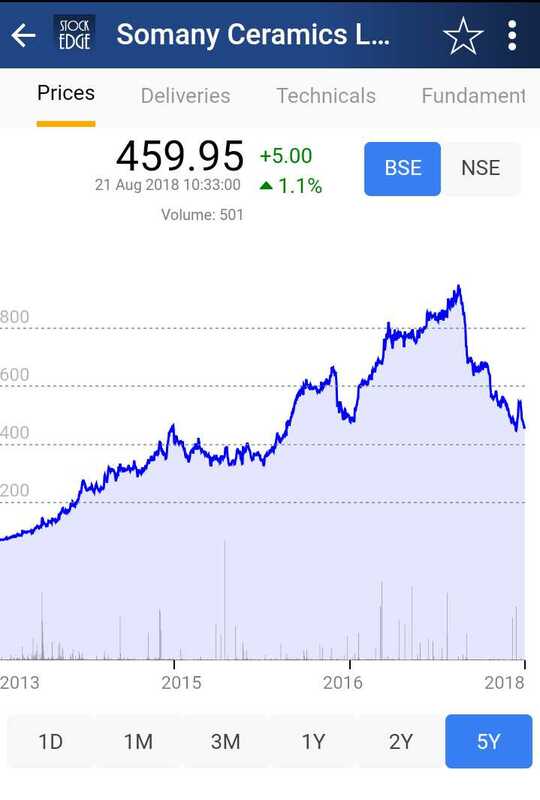 Who all are the shareholders, how much does each shareholder hold in the company, how has the shareholder changed his position in the company in the last 5 years, all the information related to bulk, block and insider deals, etc. all this information will be available to you under one application in the form of sub tab. 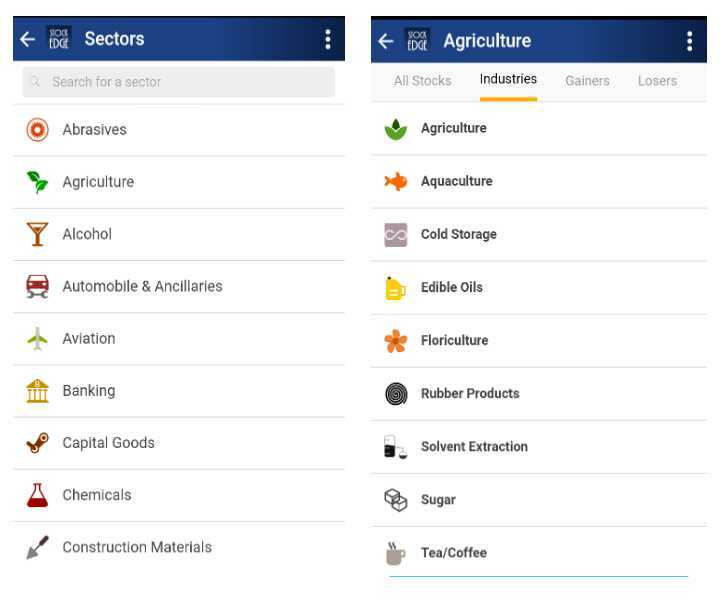 Similarly, if you go to the sector section, you can find all the sectors listed there. In each sector, you will find multiple industries. In each industry, there are multiple stocks. And in each stock, which ones are the gainers and which ones are the losers will be shown to you in the form of a handy tool. 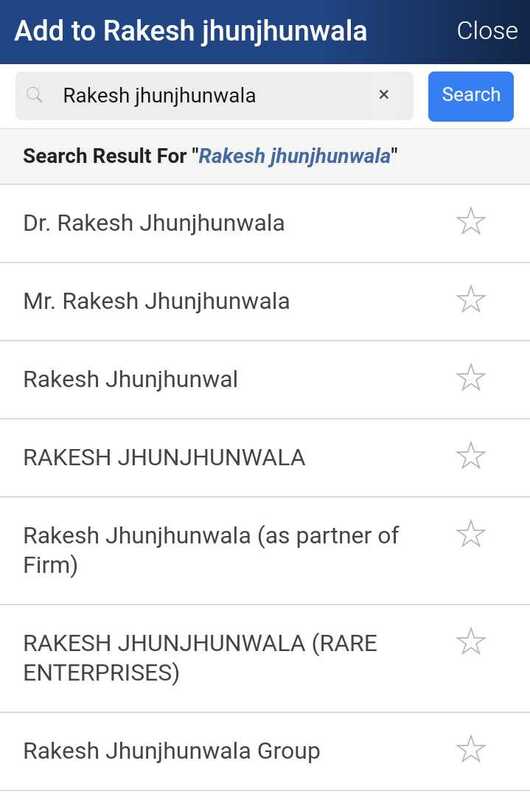 Many people want to follow big investors like Rakesh Jhunjhunwala, Ramesh Dhamani etc. It is true that by following such big investors you can make money. But there is much more to than just blindly copying their portfolio. You should do your own research on the stocks that they are dealing in. This process of copying investors and critically analyzing those stocks is called cloning. 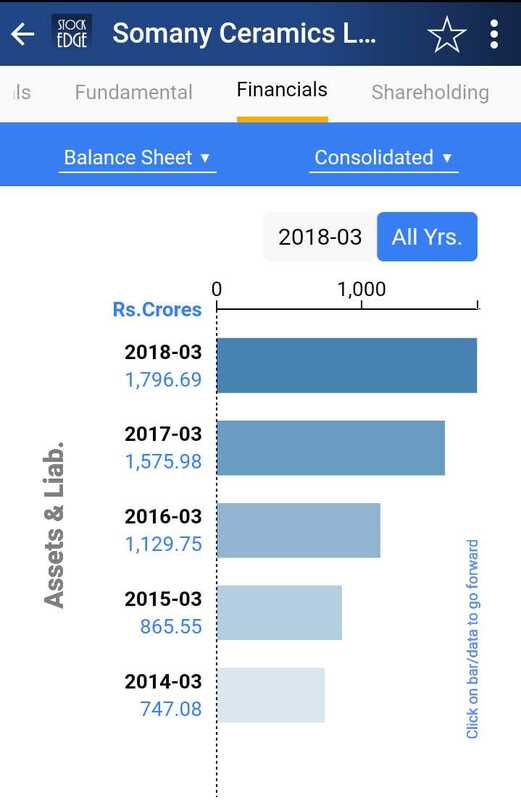 In Stock Edge application, there is a database of about 2 lakh investors available and the information is extracted from all public sources. A scan is a very essential part of the StockEdge application. 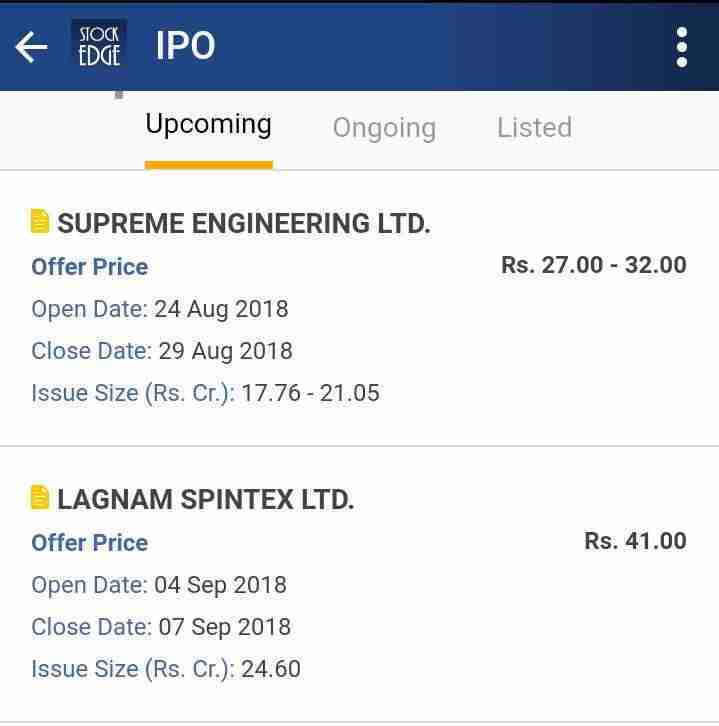 In this feature, you can filter stocks based on various scans like fundamental scans, technical scans, price scans, volume and delivery scans etc. 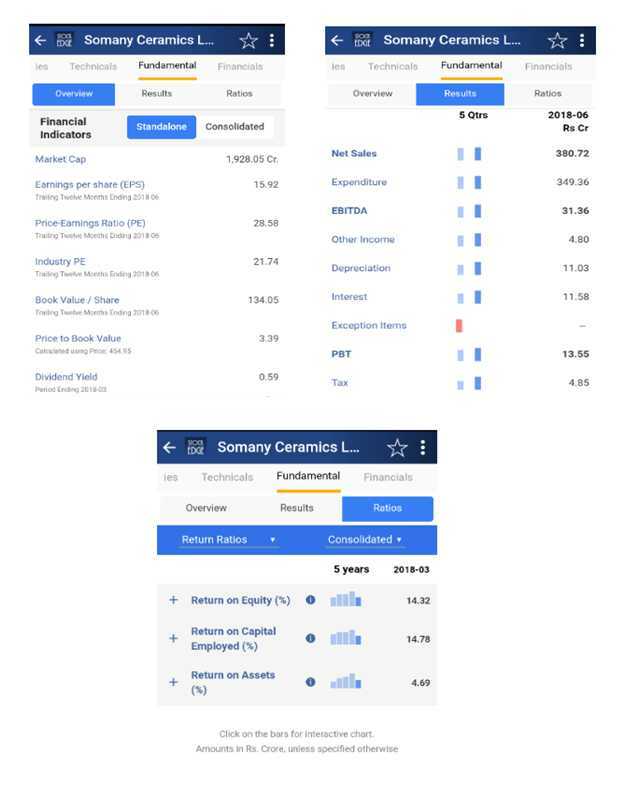 Under each scan, there are numerous sub-scans that enable a user to categorise stocks. 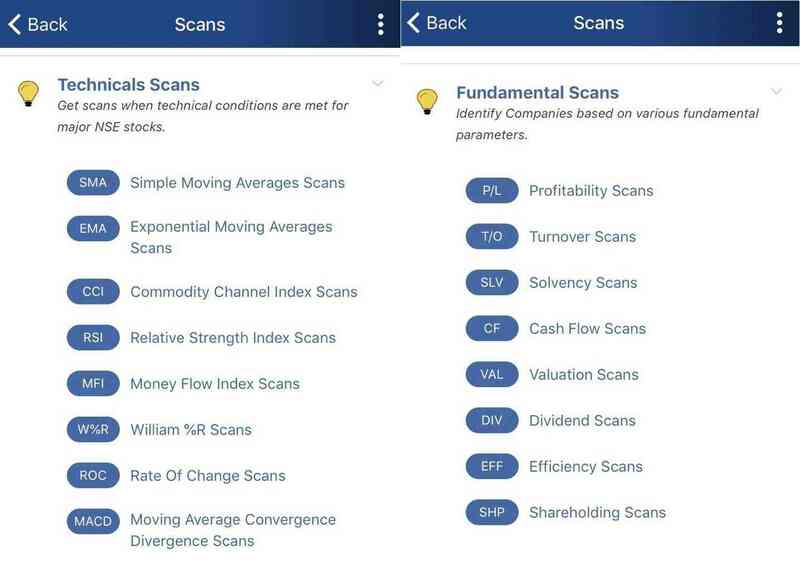 For example, if you click the fundamental scans, you’ll find scans like profitability scans, turnover scans, solvency scans, cash flow scans, valuation scans, dividend scans, efficiency scans and shareholding scans. Most of the scans are free. However, some of them are part of the paid features that you can access just by paying a nominal amount (as shown below). 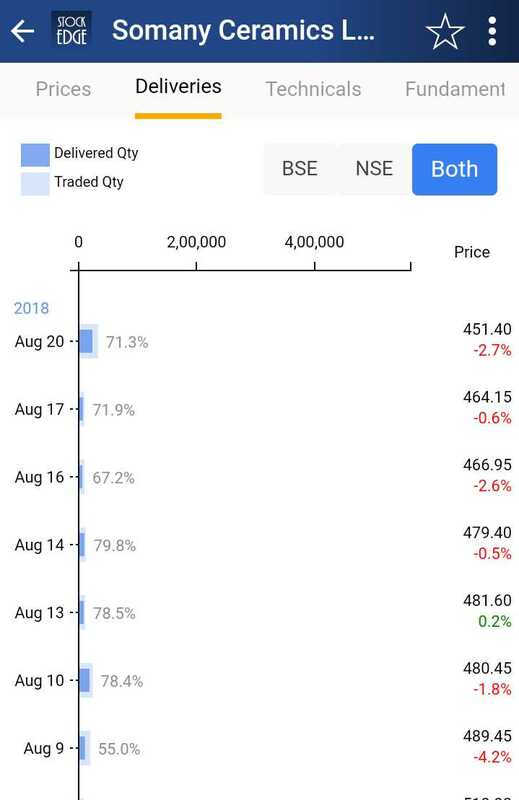 Under the analytics section of the Stock Edge app, you can find this very important data that one should keep track of on a daily basis. 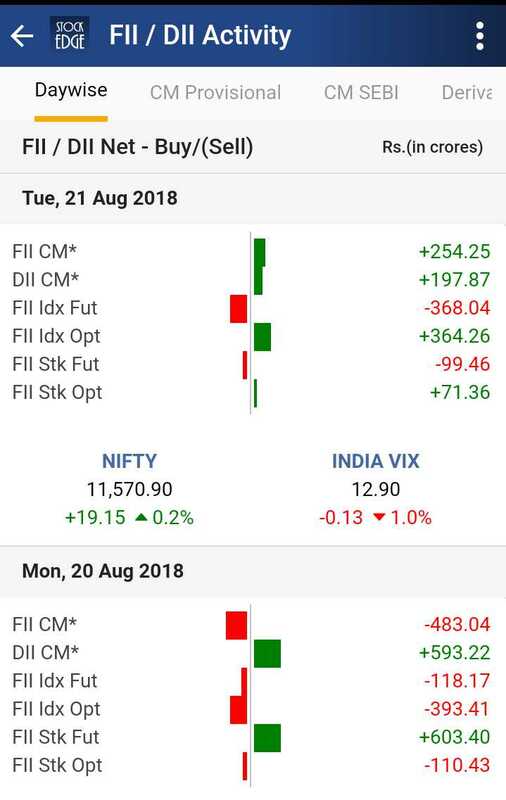 When you open the ‘FII/DII activity’ section, the first thing that you’ll see is the net buying/selling by the FIIs/DIIs on daily basis. 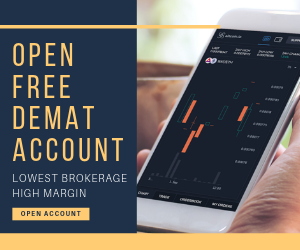 This data is very crucial to analyze as it shows in which market there has been a significant change, whether it is the cash market or the futures market or the options market. 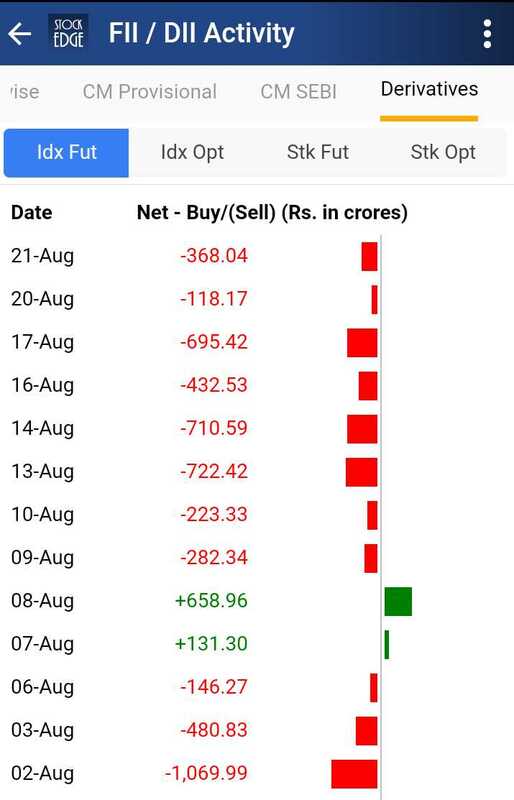 Apart from that, you can also see the cash market provisional data which is based on data provided by the exchanges, FII data for both cash and debt segment which is shown under the ‘CM SEBI’ tab and the derivatives data which is important for people who trade in the derivatives segment. This data helps you in analyzing the interest of FII in the market. As the name suggests, this tab is the learning and knowledge tab. This tab includes content on the basic and advanced levels of financial and capital markets. This section has been included in the Stock Edge application keeping in mind the unawareness of people about the various concepts of the markets. It has an introduction to the topic and a short video by our experts on that particular topic. You just have to click on the topic that interests you and you will be directed to the text along with a short video. 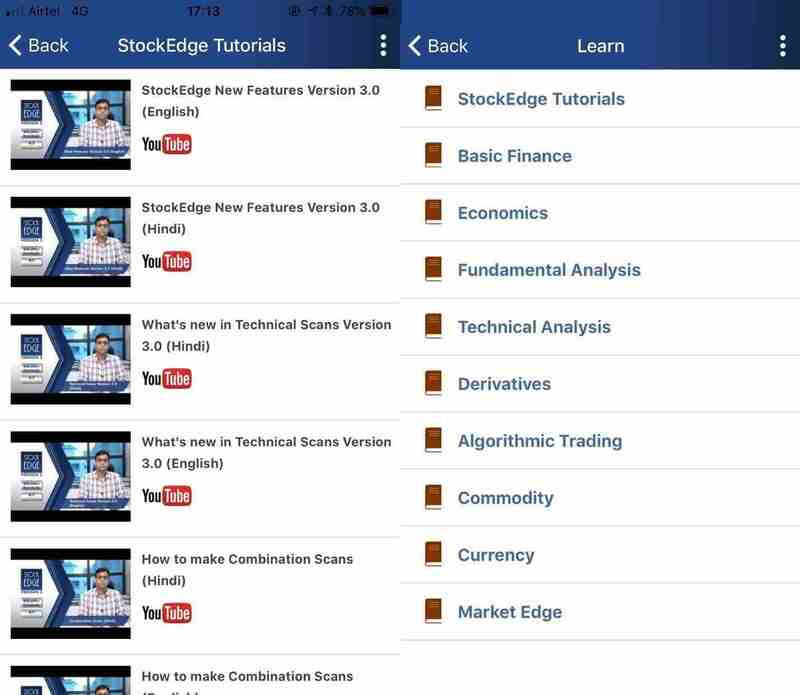 You can also view the videos by the Co-founder of Stock Edge and Elearnmarkets, Vivek Bajaj, on the detailed step-by-step process on how to use the application and its amazing features. IPO stands for Initial Public Offering. This section is included in the latest version of the Stock Edge application. It includes all the upcoming, ongoing and listed IPOs. 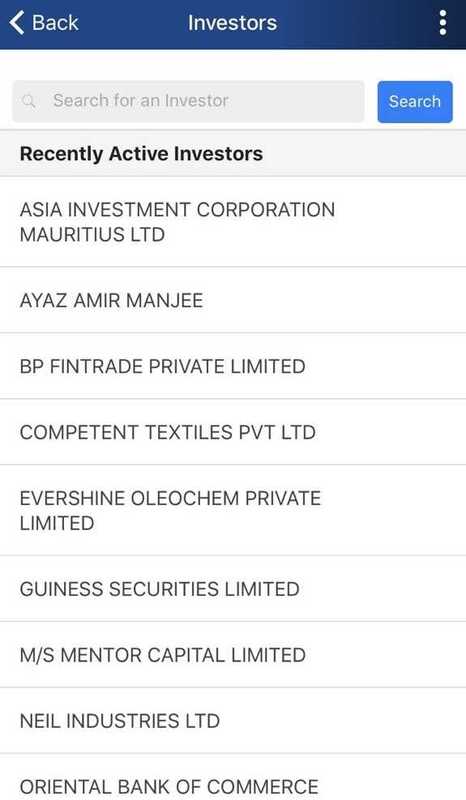 So now you do not have to go to the NSE website or search on the internet about which all IPOs are going to come or which all new companies have been listed. My Stock Edge is one of the greatest features one can ever come across in India. My Stock Edge is ‘Your Section’. It includes everything related to you and owned by you. 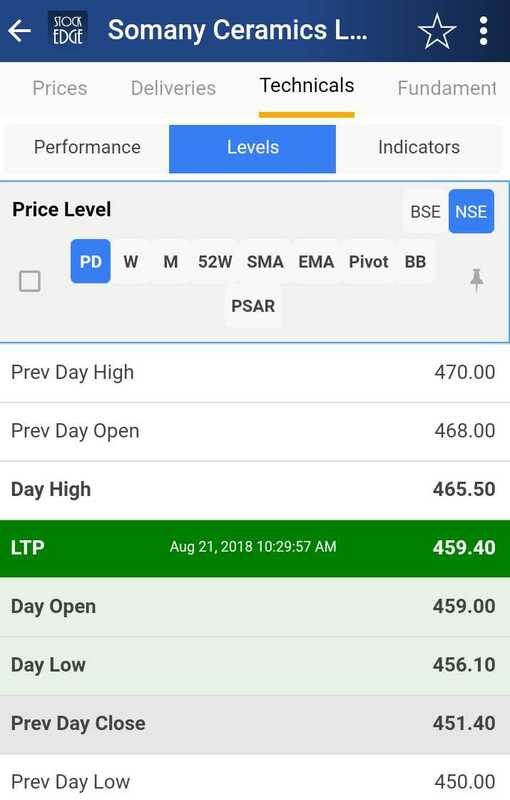 Since people behind Stock Edge are themselves, traders or investors, they understand the needs of the users and hence, have come up with this amazing feature “My Stock Edge”. Using this feature, one can not only create a watch list for different categories of stocks but also investors and scans. You can also track your own portfolio and see if your targets are achieved. As you can see in the picture above, there are 6 tabs under ‘My Stock Edge’. As you might know, stocks can be categorised based on different parameters. Also, different people have different objectives of tracking markets. Suppose, if anyone wants to track FMCG sector, he/she can create a watch list of companies that are there in the FMCG sector and track those stocks at a consolidated level in the ‘My Watchlists’ section. Similar to ‘My Watchlists’ is the ‘My Investor Groups’. There are so many people in the market who want to just track the big investors. So, this tab lets you create a watchlist of different investors that you would like to track on daily basis. Another important feature of ‘My Stock Edge’ is the ‘My Scans’ section. 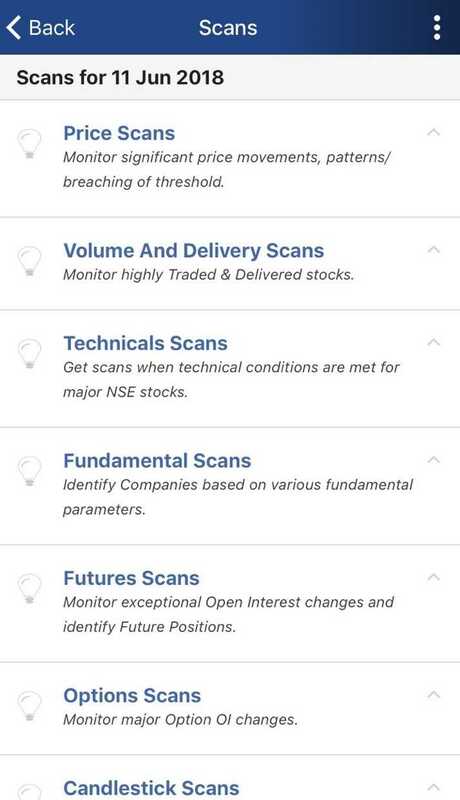 Scans are pre-defined algo based technical analysis tools which help in doing the technical study of a stock. This tab lets you filter stocks based on different technical and fundamental parameters. Most of the technical parameters are available in the free version. However, some of the technical and most of the fundamental scans are included in the paid feature of the application which can be accessed by paying a nominal monthly amount. Combination scans are like the gunpowder of a firecracker. If Stock Edge is the firecracker, then ‘combination scans’ is the gunpowder. This feature lets you create your own combination of different scans available in the Stock Edge application. You can even experiment with simple thoughts and find out stock ideas. 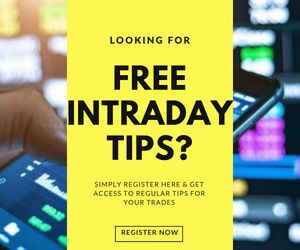 Once you have the list of stocks, you can add them in your watchlist so that any opportunity to enter the stock is not missed and you can benefit ultimately benefit from those stock ideas. The beauty of the combination scan is its accuracy, speed and the fact that it is available to you anytime, anywhere and under any circumstances. However, this feature is a part of the paid subscription. 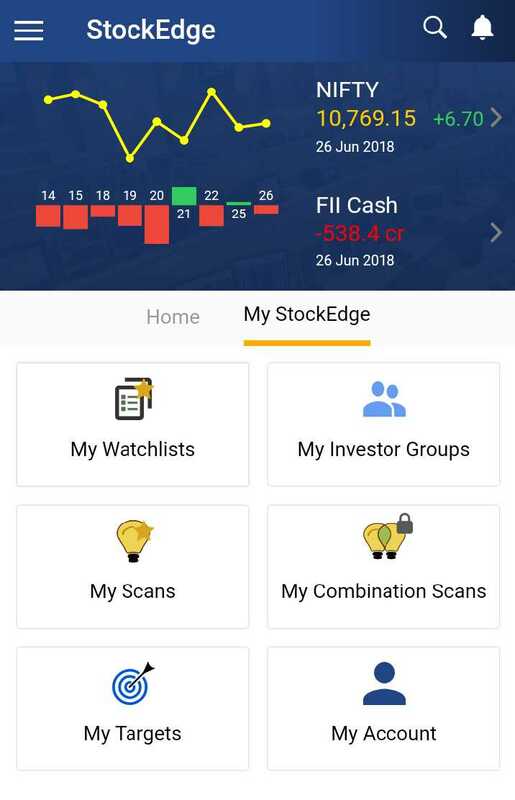 So, do download the application, subscribe to this beautiful feature and make the most out of the effort which has been put for you by the people behind Stock Edge. No Option to watch mutual funds. Although the app is compatible with most of the smartphones, there are some model-related concerns raised. Overall the app is pretty good, however, it seems the user base has even higher expectations from the app. 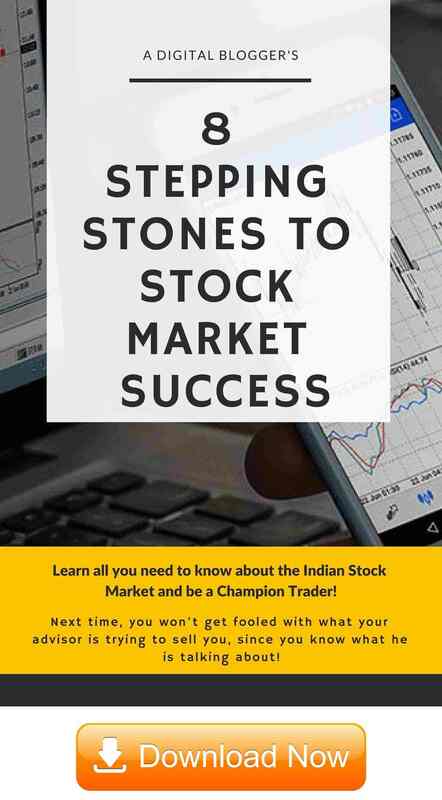 Stock Edge Club is India’s first virtual club specially made for stock market enthusiasts by the whole team of Stock Edge and Elearnmarkets. It is a unique concept that combines ready-made learning with the learning of individual experts share stock ideas for investing and trading. So, do download the Stock Edge application, experience the amazing features provided in it and invest efficiently and wisely. The article has been written by Tanu Shree Jain who is a Knowledge Coordinator at Stock Edge and Elearnmarkets.com. She is a commerce graduate from Delhi University. She is Currently pursuing CA. Also Studied CRTA from Kredent Academy.